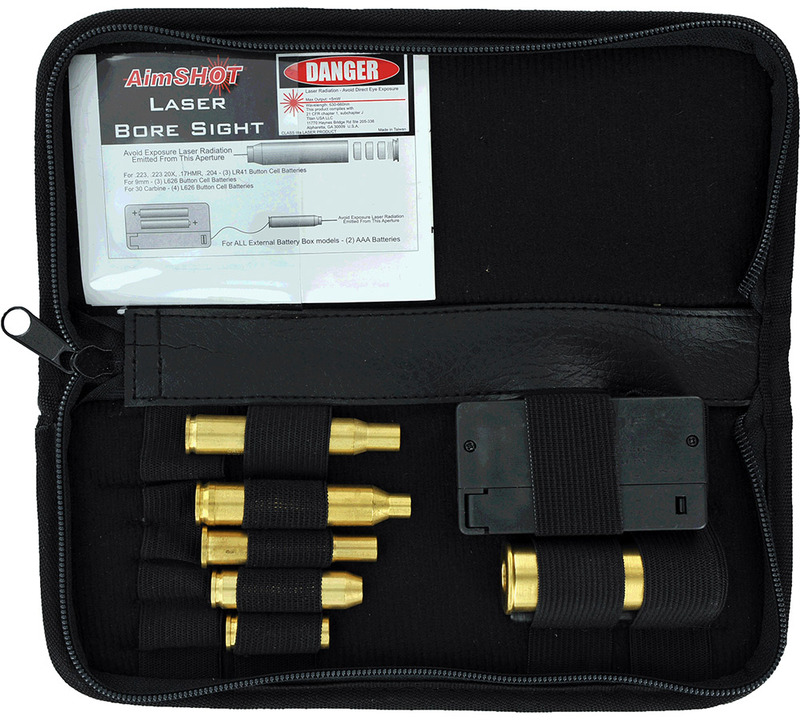 The Aimshot Rifle Boresight Kit is a 2235.56 Laser Bore Sight with external battery box that is used to bore sight your rifle with the brighter laser module. Also the basis for all of the rifle caliber arbors. This is the laser that is used with all of the rifle caliber arbors to bore sight your rifle. Uses 2 AAA batteries included to power the laser for 20 hours. It also includes the top 6 selling arbors AR243 AR264 AR3006 AR3030 AR762 and AR12GA. It allows you to bore sight most of the standard calibers on the market.